The latest supermarket share figures show the average shopping trip in Ireland is now €21.30, the lowest level since 2005. 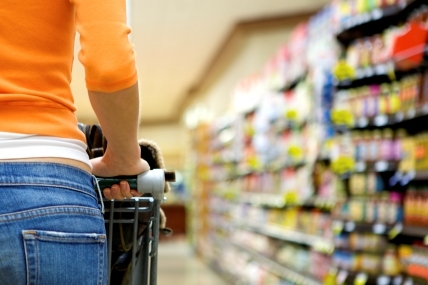 Grocery staples are becoming more expensive and the average shopper has less to spend on them. The latest supermarket share figures from Kantar Worldpanel in Ireland for the 12 weeks ending 2 September 2012 show the average shopping trip in Ireland is now €21.30, the lowest level since 2005, as shoppers tighten their belts in anticipation of the December budget. The market has fallen by 0.6% during the past year and price inflation is currently running at 2.3%; this means that grocery staples are becoming more expensive and the average shopper has less to spend on them. Tesco and SuperValu have both posted moderate sales growth of 2.4% and 0.4% this month. However, Aldi remains the standout performer with sales growth of over 28%, lifting its share of the market from 4.5% to 5.9%. Aldi is also the only retailer to see an increase in both the number of shoppers in through the doors, having attracted an additional 98,000 to the store this year, and also the amount each shopper spends in store. Grocery inflation stands at 2.3%* for the 12 week period ending 2 September 2012, up from 2.1% in the previous period but significantly below the 4.4% seen in August 2011.